Automation for enterprise IT ops, event-driven data center orchestration and the most flexible configuration management for DevOps at scale. With contemporary enterprise infrastructure spanning public, private, hybrid and multi-cloud environments, IT operations needs fast and flexible orchestration and automation software to address scale and complexity. Legacy systems management tools, and rebranded cloud management platforms, were not built for the scale, fluidity and complexity of cloud environments. Predictive, demand-based cloud bursting based on utility and price, porting applications to a right-sized cloud, configuring complex workloads across clouds, and provisioning and controlling business access to cloud resources all sounds nice to have, but can be difficult to deliver. Cloud can deliver substantial benefit and competitive advantage but it be leveraged and managed appropriately. SaltStack is unique in delivering predictive, event-driven cloud orchestration, with native configuration management, to combine and deliver the best CloudOps, ITOps and DevOps automation functions for IT. Assistanz helps you in your Datacenter automation with Saltstack. Share your need. 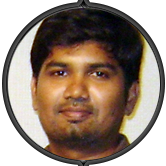 Speak with Amal Ranjith with over 15+ Years hands on Experienced Cloud Geek, you could get a better solution.